The OpenNebula monthly newsletter reflects the latest news in the OpenNebula project, the advances in the technology, the awesome community work and the dissemination efforts carried out. This October, on the 24th to the 26th, the OpenNebulaConf 2016 will take place! Exciting keynotes by Telefonica and Akamai, among others, and lots of interesting talks of OpenNebula users willing to share their IaaS experience. There are still a few vacant slots, if you are in Barcelona around those dates, why don’t you come round and meet the OpenNebula family? We are looking for Cloud Engineers and Developers to join our team, check this post for more details. With the 5.2 Beta version already in the wild, the team is paying extra heed to ironing the wrinkles of the new introduced features to achieve a production grade release. Now is the time to give us feedback in the forum or through twitter, or even by email. We want to make sure that all reported bugs are fixed before Excession (5.2) hits the road. Partnerships like this one makes OpenNebula community great! Now VDI couldn’t be simpler. It is also very nice to have people spreading the word all around, and if you are someone as special as our storage partners, all the better! . By the way, OpenNebula zealots, stay tuned for exciting news if you are preaching the OpenNebula world, you may be in for a surprise shortly! Also awesome to have power users the likes of Harvard FAS Research Computing, with a great imagination. We may have found a mascot after all! OpenNebula community health can be measured by user meetups such as this one happening all over the world. The OpenNebula User Group from Barcelona is a great example on a very active group that this year we are proud to host within the OpenNebulaConf. Check out their excellent agenda, and register at no cost. OpenNebula translators, please be ready since we will be shortly be announcing the call for translations (to be done through our transifex) for the stable version of Excession. Don’t worry, not as much changes as in 5.0, but still nice to count you in to make OpenNebula available in over 17 languages! The OpenNebula Conference in Barcelona takes place this 24th to 26th. Check out the agenda featuring interesting keynotes from industry leaders and different community sessions sharing OpenNebula experiences, as well as workshops designed to learn about different OpenNebula aspects. Register to learn how OpenNebula users deal with challenges and their solutions to complex IaaS problems. To get a feel of what the OpenNebula Conference is about, check last year’s material (talks, slides,pictures), and also see how this edition speakers are excited about sharing their thoughts. Sponsors of the OpenNebulaConf 2016 include StorPool and LINBIT as Platinum Sponsor, NodeWeaver and Open-V as Gold Sponsors as well as Terradue and Todo En Cloud as Silver Sponsor. The OpenNebula team will be present in the VMworld 2016 Europe, October 17 – 20, Barcelona (Fira Barcelona Gran Via). We will be featuring a vOneCloud booth, so come round to see a live demo of version 2.0.1 if you are in town, or to ask anything about all things OpenNebula. Are you looking to get into the cloud professionally? If you are looking to work in an agile environment to develop new features and integrations and participate in the upstream community, this is your chance. 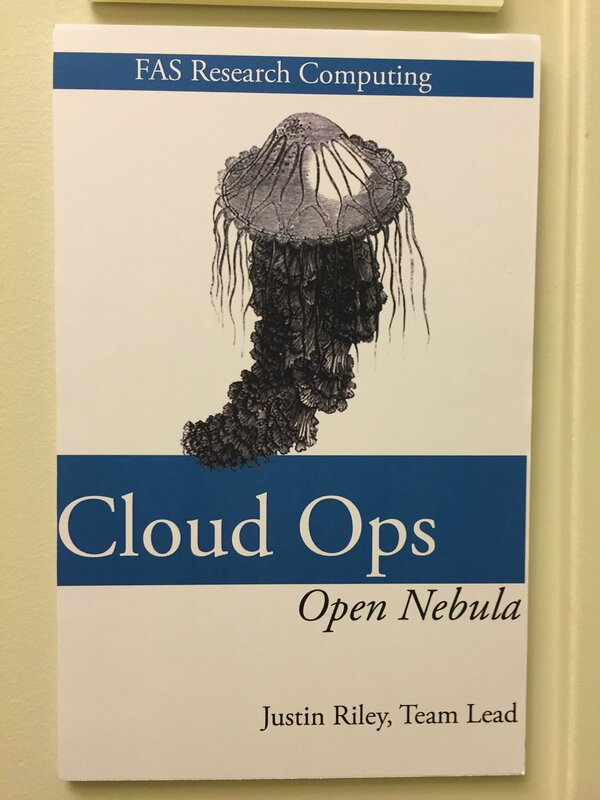 Check out the OpenNebula Systems vacancies if this is the case.